Overview: While Andy is away at camp, Woody is toynapped by a collector who intends to sell him to a museum in Japan. 1999; distributed by Buena Vista Pictures; rated G; 92 minutes. Bigger and Better: In the four years after the original Toy Story was released, Pixar’s animation software and technology expanded by leaps and bounds. Years of experience in which to further develop their computer animation (along with triple the budget) allowed for the sequel to the groundbreaking 1995 film to become even more visually astounding. Although Pixar was careful to preserve the integrity and aesthetics of the characters and their surroundings, the subtle improvements in enhancing this animated world are nothing short of astounding. When Andy’s mom places Woody on the neglected shelf after his arm is ripped, you can see every dust particle, from the ones that have settled on the shelf to those that are rustled up into the air. Endless minute details manage to startle an awe as the story continues, from the grainy texture of the cheesy residue on Al’s fingers to the reflections of the toys in the linoleum floors in the toy store. There are many moments in which it’s easy to forget you’re watching an animated film. Striking A Balance: Part of what makes Toy Story 2 an instant modern classic is not only its ability to hold its own alongside its predecessor, but also its appeal to an audience of all ages in both sentimentality and comedy. The jokes never stop flowing, and many of them are laced with not only the usual double entendres that have become prevalent in family films, but also a number of nods to pop culture and other popular movies. 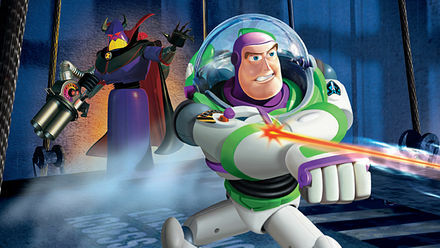 Star Wars fans everywhere rejoice when Zurg proclaims that he is Buzz Lightyear’s father as they’re battling it out during their escape from Al’s Toy Barn. The original storyline of Toy Story even earns a wink of its own when Buzz becomes entangled with one of his doppelgangers, who is still under the delusion that he’s the real Buzz Lightyear. The delicate balance between staying true to the source material and also breathing fresh air into the original story is an accomplishment achieved by very few sequels as successfully as it is in Toy Story 2. Mint Condition: I remember when I was a child I boasted a massive collection of Barbie dolls. Every trip to Wal-Mart resulted in a new addition, but the really special ones only came around once a year. Every Christmas my mom bought me the Special Edition Holiday Barbie, and every year I tore through the wrapping paper and stared at my newest prize in awe. My mom explained to me every year that this one doll should be kept in the box to keep it in mint condition, but I never listened. I wanted to enjoy it immediately, even if it was only a short time before she was discarded in a pile with the rest, and it was always worth it. 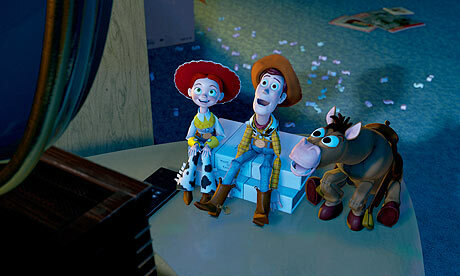 The most endearing quality of Toy Story 2 is its retelling of this story through the eyes of the toy. The toys never want us to outgrow them, but they’d choose those brief years again and again over never experiencing that joy at all. Not only does this point of view remind us of how fleeting those years really are, it also resonates with us as adults as we deal with all of the parts of life that can potentially only bring us short lived happiness. Would we sacrifice something that brings us joy if we knew that happiness would only be temporary just to protect ourselves from being hurt later on? It poses that ever present question of what we really want from our lives. The Prospector says it best when he tells Woody, “You don’t know who you are, do you?” John Lasseter’s ability to seamlessly embed issues that are equally relevant to both young children and adults is part of what makes the Toy Story films so special, and they each accomplish this in their own distinct, yet cohesive way. Groundhog Day: What Do You Do With Forever?